Created by the Chozo to be the ultimate predators, Metroids feed on the energy of living creatures. Energy Drain +10 • Close • Weaken Stamina 10 • The Metroid latches onto its prey and drains away its energy until its husk crumbles into dust! Enemy: Many, notably including the X Parasite (for which Metroids were created), and Samus Aran. Weakness: Cold-based effects inflict an additional degree of effect on Metroids. Explosive attacks and the like made within the creature as it feeds on something also ignore its Protection and Impervious Toughness effects. Long ago, the Chozo deemed the X Parasite, an entity capable of devouring and assimilating the forms and abilities of other living creatures, too dangerous to go unchecked. They created the Metroids from Aeion energy that infused the planet SR388 and set them loose upon the X. The Metroids performed their roles well (indeed, the word "Metroid" in Chozo tongue means "Ultimate Warrior"), but soon grew out of control and turned on their Chozo creators. Whether this was responsible for the apparent extinction of the Chozo none can say, but ever since then, Metroids have been a true danger on any world they reach. Samus Aran encountered these creatures first on Zebes, where Space Pirates (and, later, the Galactic Federation) tried to use the creatures as bio-weapons. When the Federation (at great cost) managed to capture some Metroids, they drew the attention of the Space Pirates, who stole the Metroids and took them to the planet Zebes. There they exposed the creatures to radiation that caused their numbers to multiply, intent on using them to shake galactic civilization. 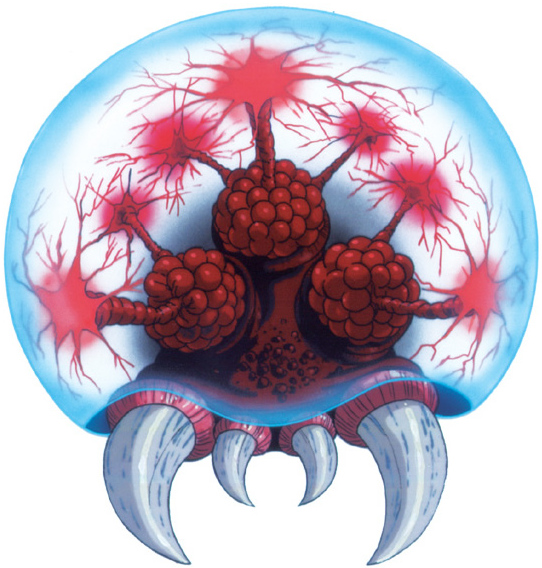 Samus was hired to invade Zebes and destroy the Metroids as well as Mother Brain, when all other attempts had failed. Despite the odds, Samus succeeded. Afterward, Samus pursued Space Pirates carrying Metroid cargo through space, to the planet Tallon IV, where a strange mutagenic substance called Phazon had transformed them. One such creature eventually became the Metroid Prime, a powerful mutant that Samus destroyed deep beneath the planet's surface. Unknown to her at the time, this action created her would-be nemesis, Dark Samus, when the failing Metroid Prime absorbed some of Samus' DNA along with her Phazon Suit armor. Dark Samus then began to wield Phazon as a weapon across the galaxy, threatening the stability of life as we know it until Samus defeated her, eventually destroying the planet Phaaze and excising Phazon from the galaxy forever. Samus would eventually journey to SR388 to destroy Metroids forever, but ended up returning the last Metroid into captivity with the Galactic Federation—not realizing their illegal experiments to harness the Metroid's power was as much of a threat as the Space Pirates! But the Federation scientists were slain and the Metroid recaptured by a resurrected Ridley, who returned to Zebes, likewise rebuilt since Samus' first visit. Samus pursued him and eventually found the Baby Metroid (which had imprinted on her as its mother) just before battling Mother Brain for a final time. The Baby Metroid gave its life to save Samus from Mother Brain, enabling her to destroy the evil cyborg. Metroids were now extinct. It was not to be. Federation scientists cloned the Metroids (along with, unwittingly, Ridley, Samus' greatest enemy) at one of their facilities. They also resurrected Mother Brain in the form of an android who soon turned against them. Samus once again battled her old enemies and destroyed them, and with them it seemed the Metroids might finally perish—but they defied extinction yet again. When Samus first encountered the X Parasite and was infected by it, Federation scientists managed to save her by infusing her with stored Metroid DNA. This made Samus the last living bearer of Metroid DNA in the galaxy, and how fitting that she should carry it on a mission to wipe out the X. She hunted the X through the Federation's Biological Space Laboratories station, battling her own doppelganger, the SA-X, until a cloned Omega Metroid stood in her path of escaping the doomed space station. The SA-X, attacking its natural enemy, inadvertently left itself vulnerable to absorption by the Metroid-infused Samus, who then gained the Ice Beam, negated any weaknesses in her genetic code gained from the Metroids, and fought her way to freedom. The Metroids are all but extinct now, as far as anyone in the galaxy knows. However, given their durability and their tendency to defy oblivion, who knows what awaits out there among the stars...? Larval Metroids are pure hunger given form. They are not mindless, and indeed are capable of even showing compassion (as the Baby Metroid did toward Samus, its surrogate "mother"), but most simply desire to feed. They relentlessly hunt down strong creatures and feed upon them with an endless appetite. Metroids are large, jellyfish-like creatures with translucent hides that are somehow impervious to most conventional weapons. As they hover and detect their prey by unknown means (a sort of spatial awareness, and inherent ability to use stored energy for anti-gravitic propulsion, perhaps), they quickly become an ecosystem's dominant species through their power and ferocity. Their most feared tactic at this stage of growth is to simply latch on to their prey, where they are incredibly difficult to shake off, and begin draining away their bio-energy. Dislodging them is nearly impossible at this stage without detonating powerful weapons into the creature's innards. They do, however, have a severe vulnerability to cold-based effects, which are able to harm them or even freeze them solid. So, with this, I think I finally hit on a format that I like enough to keep using. Blending between having it "all on the character sheet" and not filling the listing with every single thing (because you really can't have it all on the sheet), I like the way it looks and also the amount of information and flavor imparted. It's organized but looks snappy, I think, without being too cluttered or too sparse. I'm a bit biased, of course, but I think I'll try more like this and see how it looks. More Metroid builds to come. I'll also probably sneak in a build before the next one from another sci-fi/fantasy-esque series that I think will be fun. "Warlocks have long studied the Traveler, mastering some of its arcane energies. Its true purpose remains a great mystery, but discovering truth has always driven you into the unknown. Now, our enemies are the only thing that stands between you and the lost wonders of our Golden Age." In the world of Destiny, Warlocks are those Guardians who channel the Traveler's mysterious Light into powerful arcane forms. These spells grant them mastery over elemental forces, from fire and lightning to energy, even space itself. Warlocks seek knowledge at all costs, and some stray too far into dark lore best left as smoldering embers in the ruins of their enemies. Most simply use the gifts bequeathed them by the Traveler to fight the forces of the Darkness. Spread your wings and set the sky ablaze. Dawnblades use searing fire against their foes. They fly above the battlefield upon wings of flame and take up burning swords to sear away the darkness. Their angelic forms inspire allies as much as they terrify enemies, but these are no peaceful cherubs. Dawnblades are the avenging angels of the Guardians, scorching the Traveler's enemies to dust and scattering them on the wind. Their signature power allows them to soar and summon a sword made of pure Solar light. Enemy: All Guardians are hated and feared by all creatures of the Darkness. You, like many before you, were resurrected several centuries after the fall of humanity to fight a losing battle against an insurmountable foe. You are intensely curious and thoughtful, your bright eyes often searching the horizon for answers to the questions others hadn't even thought to ask. As a Guardian you wield the best weapons humanity can cobble together in the shadow of the Golden Age. On top of these, you can channel the Traveler's powerful Light into fiery spells. With them, you can soar aloft on blazing wings and rain down fire on your enemies, heal from grievous wounds, and hurl explosive bolts. 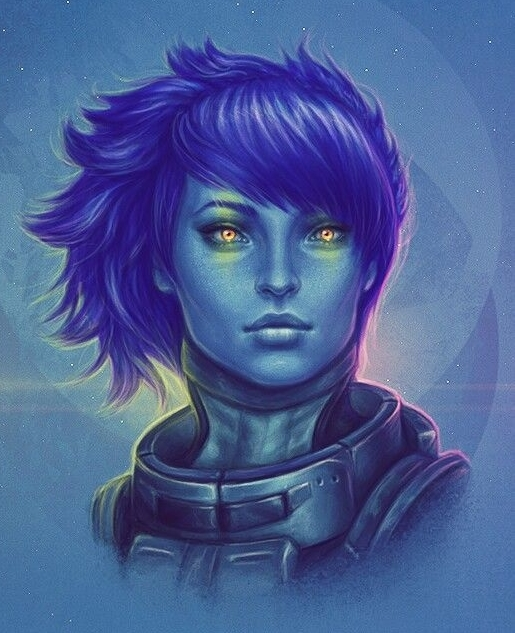 Realistically, this Awoken should have some racial powers (though in the game they're not given any, it's implied), and a whole lot of statted gear, and a Ghost companion with that nifty ability to just keep resurrecting the Guardian, etc. Plus a speeder that is decent enough. This is just a baseline template meant to be customized. Last year I did some birthday builds that spoke to what shaped my imagination growing up. This year I think I'll do the same! Not sure who would be on the list, though. I'm sure I will come up with something. "I'll do my best! Whatever you say, All Might...I'll step up to the challenge!" Detroit Smash +9 • Close • Damage 8-12 • A super-powered punch! Delaware Smash +8 • Ranged • Damage 10 • Deku creates super-strong blasts of wind by flicking his fingers. Doing Good: Midoriya has always been a helpful, protective youth. Since childhood he has wanted to be the kind of hero that others look up to, who shows up with a fearless smile even in the darkest hour to let everyone know that it will be alright, because "I am here!" Rivalries: Deku's nature invites challenge even as it inspires those around him to try harder. His childhood bully-and-sometimes-friend, Bakugo, is a good example, but Midoriya managed to make rivals out of many of his classmates. 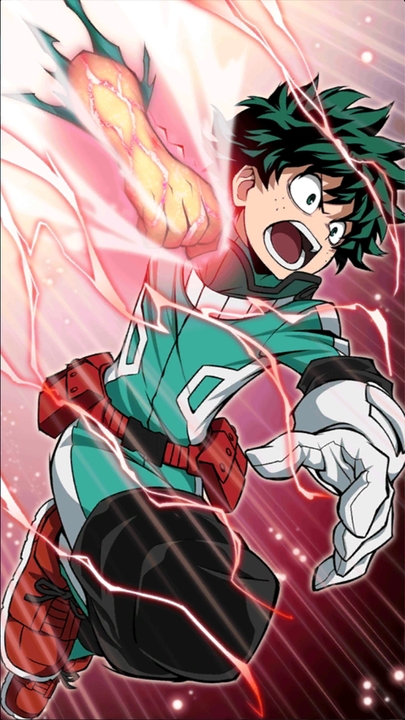 Secret: Born Quirkless, Deku now bears One For All, a Quirk passed on to him by All Might—and he also knows that All Might is quickly losing his powers. Side Effects: Using One For All at its full power is too dangerous on Deku's body. Using Delaware Smash will break his fingers, for instance, one by one, and Detroit Smash will break his arm. Whenever he uses his full strength, he suffers damage conditions to his limbs, which can also cause a loss of Dexterity or Agility (GM's discretion). 80% of the world's population are born with amazing powers called "Quirks." These people become either heroes, who undergo rigorous training at hero academies, or villains who terrorize the rest of the population. Young Midoriya is one of the unfortunate ones who doesn't have a Quirk. He grew up idolizing All Might, the world's greatest hero, who always gave it his all with a fearless smile, letting the frightened masses know that he was there to see them through any crisis. Despite being "powerless," Deku (as his bully called him) always strove to do better, to be better, to help out those who needed it (even his bully! ), hoping beyond hope to one day be a hero. Though everyone told him it was impossible, Deku never gave up on the dream—and it was realized when he finally met his hero, All Might. By acting bravely in a crisis situation when even pro heroes stood helpless, Deku inspired even All Might, the world's mightiest hero, the world's symbol of peace, who was himself once a Quirkless boy with a heroic dream. Seeing in Midoriya a worthy successor to One For All, a Quirk that isn't genetic but instead passed like a torch, All Might granted Midoriya the chance to finally become the hero he was all along. Now, under All Might's guidance, Midoriya is trying to learn how to control One For All and make it his own. He has enrolled at the prestigious U.A. High School in Japan, a premier training academy for young heroes. Studying hard and using is Quirk at best he can, Midoriya hopes to live up to the legacy of his idol. Note:This is Midoriya circa the Sports Festival. Midoriya is the very essence of a hero. Always concerned about the well-being of others, even in bad situations, he works hard every day to prove he can be a hero. Unlike some who were born into great power, Deku has had to earn his, and he doesn't stop there. He is very studious and observant, constantly examining both his own actions and those of others in order to learn. Incredibly strong-willed and driven to be that shining symbol of peace and justice he grew up idolizing, Deku is an inspiration to those around him. At first, Deku was a scrawny boy without any Quirk. Since he began training with All Might, he has honed his body into a highly athletic shape in order to be a better hero—and a proper vessel for his Quirk. That power, One For All, is an incredible gift born many generations ago of the merging of two Quirks: one that accumulates power, and another that could transfer itself to others. Since then, One For All has become a torch passed down each generation to the young hero with the greatest potential. One For All enhances Deku's physical powers to incredible levels. However, his lack of experience and control with the ability means that it costs him dearly. Without full control over it, using his full strength tends to break Deku's bones in response to the extraordinary forces involved. He can fire his Delaware Smash by flicking his fingers, but it breaks his fingers. His powerful Detroit Smash punch can level even giant robots or blast holes in buildings, but it will break his arm if he uses its full strength. Likewise, if he launches himself at an enemy at full speed, the force of the jump will shatter his legs. One day, Deku may learn how to properly control One For All. Currently, he channels its vast power into a single point in his body (fingers, arm, sometimes just a fingertip), but it's slow to do so and leaves him vulnerable. Last edited by Lara Croft; 10-25-2018 at 02:57 AM. "I ride because I want to protect people. Because it's what Grandma would do. Justice? Justice isn't a six-shooter, a steed, or punching a bad guy's teeth out. No, justice is when good people ride for their fellow men and women because it's the right thing to do. Because they can. Because sometimes, the law overlooks those most in need of its protection." Summon Night Sky • 12 • Dusk summons her horse, Night Sky, from the starry night-tales of the Old West. Legendary Cowgirl • 50 • When Jessica assumes the mantle of Dusk, she becomes as a folk hero walking straight out of legend. Old River Trail (Enchanted Bullwhip) • 10 (6), Easily Removable -4 • A super-strong bullwhip that can be used to swing from high places or bind foes. Lucky Canteen • 3 (1), Easily Removable -2 • A bulletproof canteen that can produce an endless supply of drinkable water for the dusty trails! Responsibility: As the latest in a long line of legacies, Jessica owes her heritage to use her gifts in the pursuit of justice. Honor: As Dusk, she must be better than the thugs and thieves she battles. Power Loss: If deprived of Calamity Jane for an extended period of time, Jessica loses her Legendary Cowgirl powers. Quirk: Even in her civilian guise, Jessica often finds herself drawn to the presence of outlaws and injustice, and strange things hinting at legends echo in the world around her. Jessica James was an average girl with above-average intelligence and a desire to study the worlds of people past. She pursued archaeology and related fields in college. A year ago, she was called by her aunt Maya: their grandmother, Julia James, had passed on and Maya needed Jessie's help for the estate sale. Wishing she'd spent more time getting to know her grandmother's amazing life, Jessica traveled to the deep south to help her aunt take care of the sale. In cleaning out her grandmother's house, she found in the attic a dusty old box full of old western-style pictures, a well-worn hat...and a silver revolver inscribed with many runes from different cultures. She took up the revolver and, to her surprise, found that she had changed. 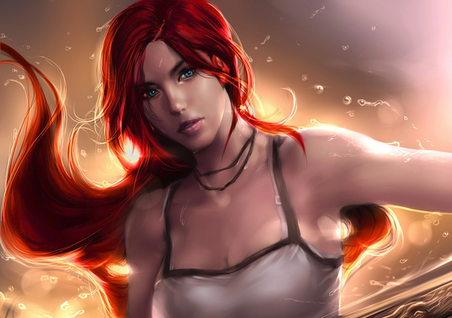 Walking through legend and memory, she was a gunslinger on an ancient trail, fanning the hammer of justice! Returning out of the vision, she found her aunt awaiting with an explanation. Julia, Jessica's grandmother, was the heir to an ancient legacy: the wielder of the artifact Calamity Jane, which transforms a James woman into a legendary folk hero straight out of the Old West. In this time where vigilantes must fight against injustice, Jessie's grandmother had thought her worthy of taking up the mantle of Dusk, the Evening Star. Since then, under her aunt's guidance (who served as the previous Dusk's sidekick for many years), Jessica now must balance fighting injustice with college life! Jessica James is a rather quiet, shy girl, more focused on studies and pursuing her goals than socializing. She's more at home in the dusty ruins of an ancient civilization, or unearthing the artifacts of a lost people and telling their stories. Even so, she has a quiet strength about her, and despises the strong preying upon the weak. Since becoming Dusk, elements of that larger-than-life persona have infused her personality. Jessica finds herself drawn to greatness and grand gestures even without wanting to, and when transformed, she becomes a living legend, capable of inspiring the good, frightening the bad, and all definitely without being ugly! Jessica is a bright girl, with a quick wit and a natural athleticism that she hones in the gym. Since taking up the mantle of Dusk, she became greatly enhanced by the artifact's magic. Calamity Jane's power infuses her body, granting her heightened physical abilities like a legendary folk hero. She can run faster, leap higher, endure longer, all befitting a servant of justice fighting on the hot, dangerous trails of the Old West. Her senses are sharper, and her reflexes are quicker. 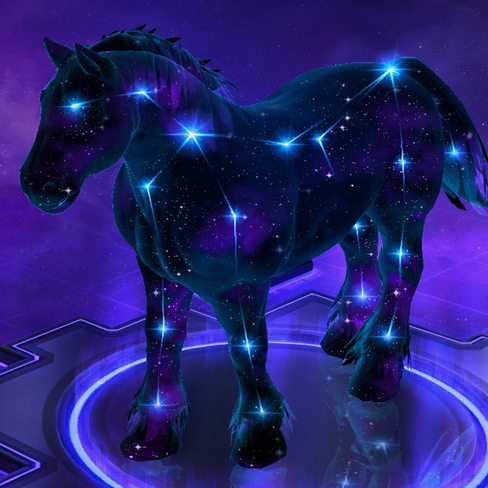 In addition, she can summon Night Sky, a steed literally conjured from the starry night skies of the Wild West, who can run much faster than any mortal steed, or even across water and up walls! She also has access to a canteen that can create an endless amount of pure water, and a bullwhip that can bind up her foes or let her swing upon chandeliers. 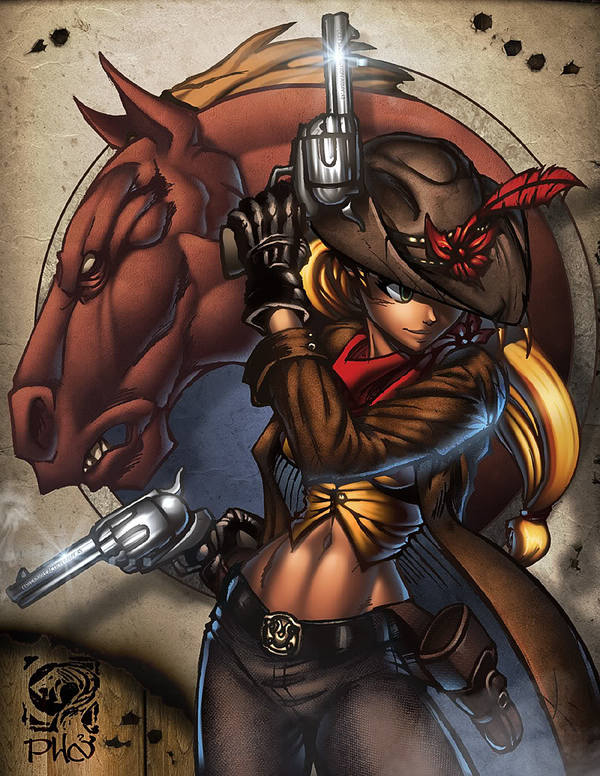 The revolver itself, Calamity Jane, is a powerful weapon with an array of magical effects. The standard shot allows for some fancy shootin', Tex, but by spinning the chamber, she can unleash other effects: a Silver Bullet that can affect supernatural foes, the Electric Cowgirl which functions as an EMP, a Campfire Tale that is a handheld flamethrower, and she can Fan the Hammer to unload a lot of rounds at once, or Eagle's Piercing Gaze, an armor-piercing bullet. Last edited by Lara Croft; 10-30-2018 at 03:14 PM.